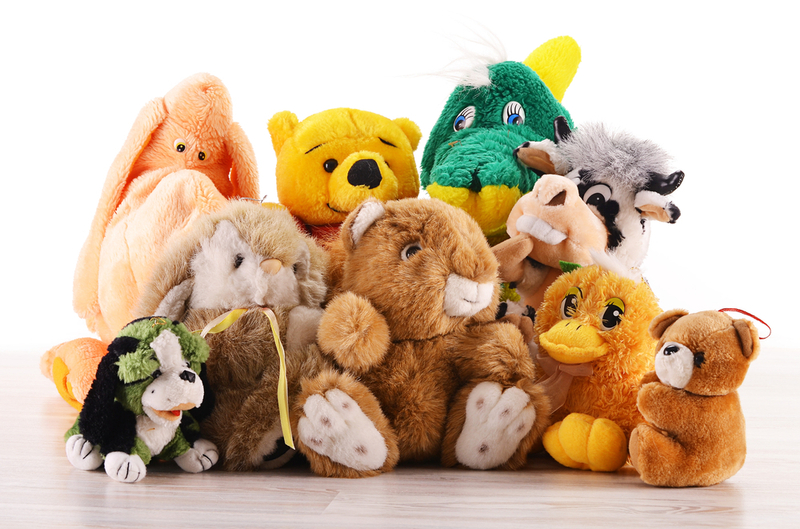 Did you have a stuffed animal when you were younger; one that you took everywhere? The answer is most likely yes. They are cute, make for a great pillow during long car rides, and are your best friends. But do they have other effects on children or are they simply the latter? Dealing with Emotions: Children at this age can learn to manage their emotions by role-playing with dolls, it gives them a way to communicate their own experiences in a playful, nonthreatening manner. Learning Language: When toddlers start chatting with his dolls and stuffed animals, it means he’s also listening to the sound of his own voice — which can help him improve his pronunciation and beef up his rapidly expanding vocabulary. Getting along with Others: Her dolls and stuffed animals give her the opportunity to practice taking turns, sharing with friends, and empathizing with others, explains Dr. Donahue. Stuffed animals are not just toys children play with; these toys teach children valuable lessens. This is all observational data and not a study with a randomized control group. An experimental study would entail giving half the group of toddlers stuffed animals and the other half nothing and following their development over the years. 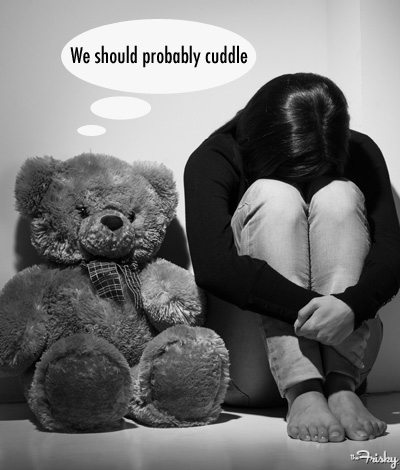 Stuffed animals are a good way to ease your pains, but if your depression is serious consult a doctor for treatment. This research and study is correlational and not experimental. While there may be third variables, we can conclude that is probably wise to give kids stuffed animals. I mean if science has found something harmful connected to stuffed animals parents would not give their kids stuffed animals. But we all know that has not happened yet. This entry was posted in Uncategorized on October 3, 2015 by Rana Mohamed. I think this was a very interesting article. As a child, I remember having names for all of my stuffed animals, and benefitting from them with the five reasons. While there are great benefits of stuffed animals for children, there are also benefits for adults. I personally have a teddy bear from my boyfriend that I have slept with every night since I have been at college. This link (http://blog.thezoofactory.com/adults-and-stuffed-animals-why-its-okay/) is very informative about adults and stuffed animals. Back to children: you bring up really good points, but not the opposing side. How much play time with stuffed animals is too much play time? At a certain point, playing and talking to stuffed animals must be detrimental to children’s development because they are lacking interaction with other children, which could therefore harm their social skills. This would be an interesting point to bring up. This was an interesting subject to research and I enjoyed learning about the 5 different ways stuffed animals are used to help children. I personally didn’t really like stuffed animals, but liked to playing with my cats and talking to them. But what you point out I think is very true for most children with stuffed animals. You said that stuffed animals are used in somewhat of a therapeutic way, so do you think that if hospitals employed the usage of stuffed animals as therapy it would be useful? Do you think there could be an experimental test of following children with a stuffed animal and those without to see how their behavior pans out? I would love to see the data of that. I think because I didn’t really use my stuffed animals in a therapeutic way, your claim is wrong about it possibly leading to depression. Cool topic. I think it is really interesting how stuffed animals aid a child’s development. I like how you listed the psychological benefits of a stuffed animal, but then dispelled the fact that a stuffed animal should be used for treatment. I found an article that supports stuffed animals are beneficial to a child’s creativity. Allan Gonsher, a play therapist, says “Children often express emotions and thoughts while playing with dolls that they might not be able to convey using words.” Stuffed animals help spark a child’s creativity because there is no right or wrong way to do it. The article also supports your point about stuffed animals helping children cope with separation anxiety. Really interesting topic. I used to have a stuffed animal, and when I read those 5 important lessons on why stuffed animals are good for toddlers, I definitely related to one of them. I used to always tell my stuffed dog about my days at school. I would tell him about all the people in my class and the girls I liked and everything that was happening in my eventful first grade life. I know he was a stuffed animal, I just liked the feeling of telling someone (or something) about my day with no embarrassment of what I say. It was kind of like my imaginary therapist. It felt good to talk about my days because I could think about them more and it felt nice doing it. On another topic, I am trying to be devil’s advocate here, and maybe see why stuffed animals are bad for toddlers. Mentally, they could be great for toddlers, but physically, what if carrying around a stuffed animals everywhere and catching all the germs that the stuffed animal touches could be bad for toddlers. For all we know, stuffed animals could be hosts for a lot of germs, and the toddlers would have very close contact with those germs when they hug or touch the stuffed animal. I love stuffed animals, but maybe there is a health risk to them, just a thought!